This is a professional Coax Wire Crimp Tool. It is a 9 inch long ratchet style crimping tool that doesn't require a whole lot of force. 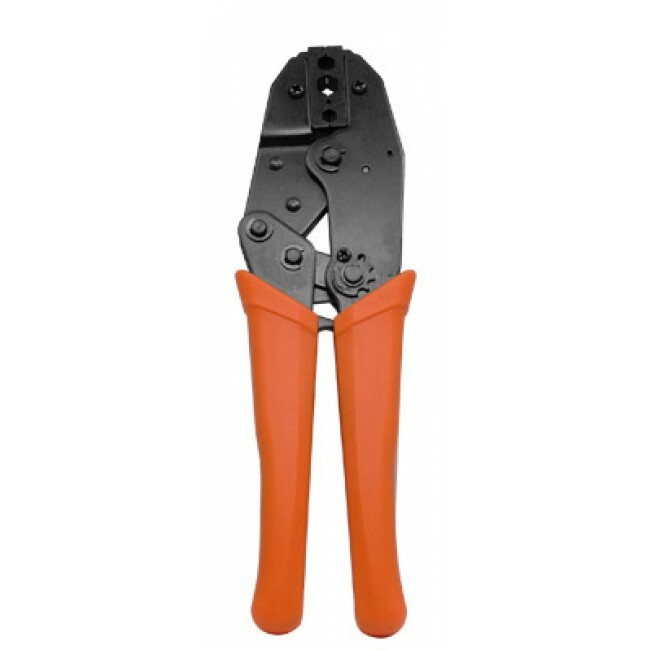 This is a crimping tool for RG59 and RG6 coax wire, and will let you crimp BNC crimp connectors and the following connector types as well: F, TNC, and N.
Once you have stripped your coax wire with a coax wire stripper, this crimp tool is the second step to crimping that BNC connector on your coax wire. 30 Days Return Policy. Used or damaged tools are non returnable. Coax Crimp Tool 0 out of 1 5 based on ratings. user reviews.